Experts recently came together to grace the ULI Philippines Conference 2019: The Futu/RE Summit held at the Maybank Performig Arts Theater in Bonifacio Global City, Taguig. The day-long conference was led by the Urban Land Institute (ULI) – an international membership-based non-profit research and education organization. The summit, on the other hand, talked about the latest real estate technology and innovation. The panel discussions focused on the following: the disruption of real estate; blockchain technology and its impact on real estate; how innovation has transformed urban planning in the 21st century, workplace revolution, sustainable urban development, local property tech trailblazers, Technical Assistance Panel (TAP) on Poblacion, the Urban Innovation Challenge; smart cities; and the future of real estate. Meanwhile, Chairman of the ULI National Council and President and Director of The Net Group Raymond Rufino shared the importance of the summit to the country and the real estate sector. 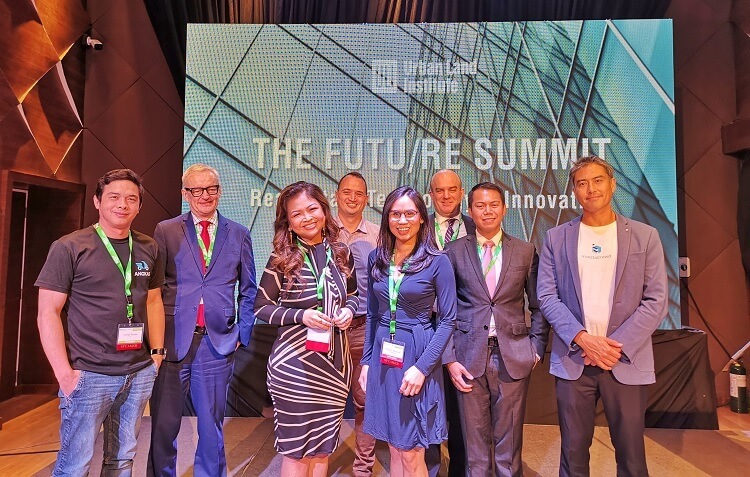 “The Futu/RE Summit is being staged by Urban Land Institute (ULI) Philippines to showcase exciting opportunities and developments as the real estate industry is transformed by technology and innovation,” Rufino notes. “By featuring experts and thought leaders at the forefront of this wave of transformation, ULI hopes to inspire meaningful dialogue, close collaboration, and responsible leadership as we work on building better cities together,” Rufino added. In case you missed it, ULI has over 2,000 members across the Asia Pacific region. The regional office is headquartered in Hong Kong, and has active national councils in Australia, China, Hong Kong, Japan, Philippines, Singapore, and South Korea.